What channels can I find FSN Programming on? I have Dish Network/Direct TV. Is FSN programming available on satellite? Sorry. FSN programming is currently not available for customers of Dish Network or DirectTV. Our programming is only available through Cox Cable, Verizon FiOS TV, and Comcast Cable. How come you never show my school on the GAME OF THE WEEK? FSN makes every effort to cover all the schools in their viewing area. Unfortunately, some schools are difficult to televise from. Several school gyms are so small we cannot comfortably fit our cameras and other equipment in the gym along with the fans who are there to enjoy the game in person. Schools which we can’t reach at their home locations we make every effort to cover at away games in schools that can accommodate our needs. Can my school submit tapes for highlights on the FAIRFAX SPORTS REPORT? Can my school submit news stories and scores to FAIRFAX SPORTS NETWORK’s website? 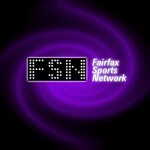 Does FAIRFAX SPORTS NETWORK cover Loudoun County Schools? We are not currently televising games from Loudoun County Public Schools, but hope to again soon. We will occasionally cover games or events which feature Loudoun County schools when there are also Fairfax County Schools involved (such as Districts, Regions, States). We do post news stories involving Loudoun County on our website. For great news and photo coverage of Loudoun County visit our friends at http://www.VivaLoudoun.com/. Can my company advertise on FSN’s GAME of the WEEK? Is FAIRFAX SPORTS NETWORK on Facebook?